PARTNER NEWS: Mobile chipset giant MediaTek has integrated STMicroelectronics’ NFC technology into its mobile platforms, creating “a complete solution for handset developers to design next-generation smartphones capable of supporting tightly integrated NFC mobile services”. 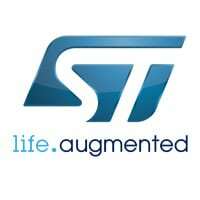 “By integrating ST’s NFC chipset with the MediaTek mobile platforms, the two partners help mobile OEMs overcome key technical challenges such as antenna design and integration, antenna miniaturization, and bill-of-material optimization while assuring interoperability with payment terminals in locations like retailers and transportation hubs,” ST says. Mobile payments and other contactless applications are primarily enabled by Near Field Communication (NFC) technology, as found in contactless payment cards and payment terminals. ST’s NFC chipset, or System-in-Package, solves the challenges of achieving a robust wireless connection over extended communication distances to make mobile payments easy, dependable, and private, while protecting against cybersecurity threats including eavesdropping and hacking.